Product Description: Freeman Dyson, renowned physicist and public intellectual, edits this year’s volume of the finest science and nature writing. 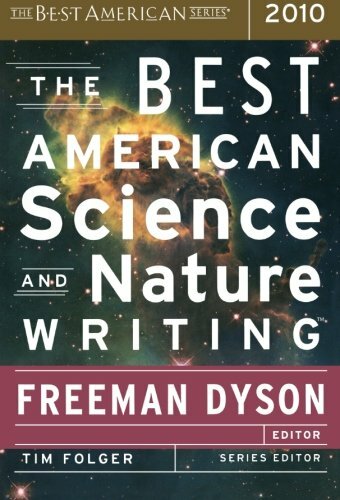 9780547327846 | Original edition (Houghton Mifflin, October 5, 2010), cover price $22.95 | About this edition: Freeman Dyson, renowned physicist and public intellectual, edits this year’s volume of the finest science and nature writing. 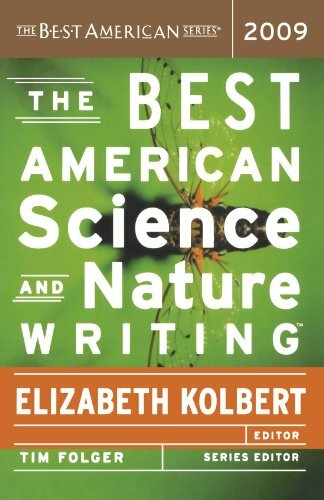 9780547002590 | Original edition (Mariner Books, October 8, 2009), cover price $29.95 | About this edition: Elizabeth Kolbert, one of today's leading environmental journalists, edits this year's volume of the finest science and nature writing. 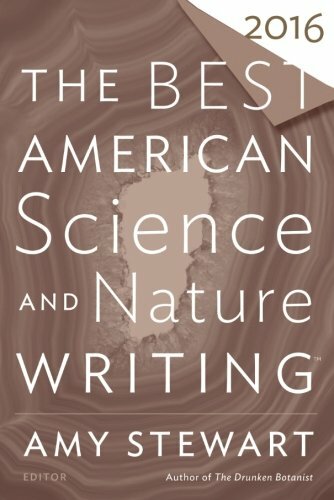 9780618722242 | Houghton Mifflin, October 10, 2007, cover price $28.00 | About this edition: Collects nature- and science-based essays by such authors as Anne Fadiman, Brian Hayes, Cullen Murphy, and Gary Taubes. 9780618722310 | Reprint edition (Mariner Books, October 10, 2007), cover price $28.95 | About this edition: Collects nature- and science-based essays by such authors as Anne Fadiman, Brian Hayes, Cullen Murphy, and Gary Taubes. 9781439566459 | Reprint edition (Paw Prints, October 20, 2008), cover price $23.00 | also contains The Best American Science and Nature Writing 2007 | About this edition: "Science is about not knowing and wanting badly to know. 9780618082971 | Houghton Mifflin, September 1, 2002, cover price $27.50 | About this edition: Collects nature- and science-based essays by such authors as Anne Fadiman, Brian Hayes, Cullen Murphy, and Gary Taubes. 9780618134786 | Mariner Books, October 15, 2002, cover price $18.95 | About this edition: Collects nature- and science-based essays by such authors as Anne Fadiman, Brian Hayes, Cullen Murphy, and Gary Taubes. 9781439566091 | Reprint edition (Paw Prints, October 20, 2008), cover price $22.00 | About this edition: Since its inception in 1915, the Best American series has become the premier annual showcase for the country's finest short fiction and nonfiction. 9780618722211 | 1 edition (Houghton Mifflin, October 11, 2006), cover price $28.00 | About this edition: Collects nature- and science-based essays by such authors as Anne Fadiman, Brian Hayes, Cullen Murphy, and Gary Taubes. 9780618722228 | 1 edition (Mariner Books, October 11, 2006), cover price $18.95 | About this edition: Collects nature- and science-based essays by such authors as Anne Fadiman, Brian Hayes, Cullen Murphy, and Gary Taubes. 9781439566442 | 1 reprint edition (Paw Prints, October 20, 2008), cover price $23.00 | About this edition: In his introduction to The Best American Science and Nature Writing 2006, Brian Greene writes that "science needs to be recognized for what it is: the ultimate in adventure stories. 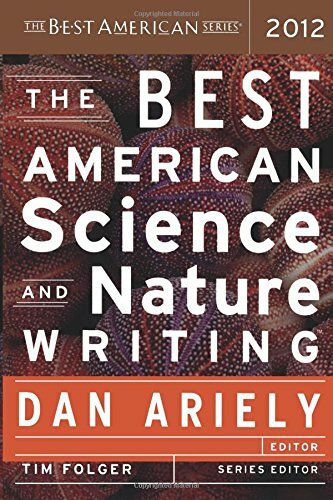 9780618178919 | Houghton Mifflin, October 10, 2003, cover price $27.50 | About this edition: Collects nature- and science-based essays by such authors as Anne Fadiman, Brian Hayes, Cullen Murphy, and Gary Taubes. 9780618178926 | Mariner Books, October 10, 2003, cover price $21.95 | About this edition: Collects nature- and science-based essays by such authors as Anne Fadiman, Brian Hayes, Cullen Murphy, and Gary Taubes. 9781439566107 | Reprint edition (Paw Prints, October 20, 2008), cover price $22.00 | About this edition: In his introduction to The Best American Science and Nature Writing 2003, Richard Dawkins asks, "What is it about science that really gets your blood running? 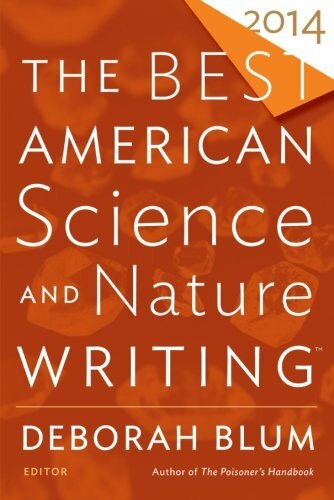 9780613916011, titled "Best American Science And Nature Writing 2003" | Turtleback Books, October 1, 2003, cover price $24.60 | About this edition: Collects nature- and science-based essays by such authors as Anne Fadiman, Brian Hayes, Cullen Murphy, and Gary Taubes.